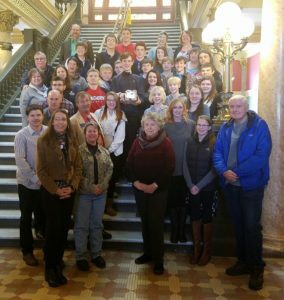 Recycle Montana recently awarded our 2018 Recycler of the Year award at their recycling informational event held at the Montana State Capitol in Helena on January 10, 2019. The “Golden Bale,” a crushed and cubed composite of aluminum cans painted in gold was awarded to Yellowstone E-Waste Solutions. Yellowstone E-Waste Solutions started on Earth Day 2006. Brandon Fox, an avid recycler, wanted something to do with the excess computer parts he had lying around from fixing old machines. His vision was to have a place to recycle E-Waste in Montana, quitting his full time paying job, he started Yellowstone E-Waste Solutions. Brandon and Kolbi credit their success to working hard and receiving amazing support from Montana’s Department of Environmental Quality, their solid waste peers and to their customers. The couple remains very close to their business, answering phones, completing E-Waste pickups and working collection events. Now, 13 years later they are still growing and expanding their territory, with 10 employees, several different departments and two years ago they opened a retail store. 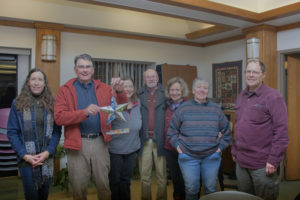 Although they are located in Billings with two drop off sites, they provide pickup services to several types of businesses and travel across Montana and Northern Wyoming to take care of customers. 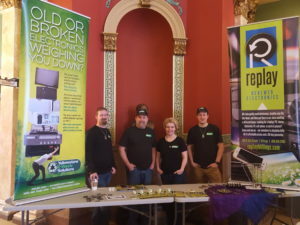 Yellowstone E-Waste also provides community collection events across the state along with supporting interested cities in establishing year-round drop off sites. All their efforts help our environment by keeping E-Waste out of our landfills. 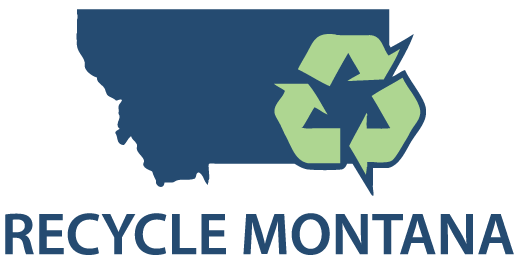 The 2017 Recycler of the Year was Recycle Our Waste Lewistown (ROWL) and the 2016 Recycler of the Year was Fort Benton Recycles.